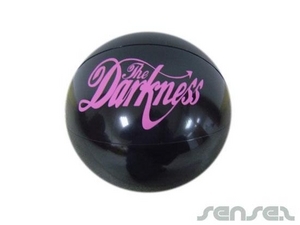 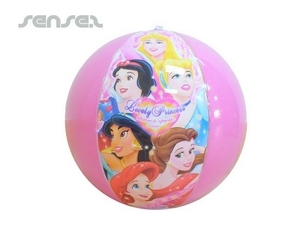 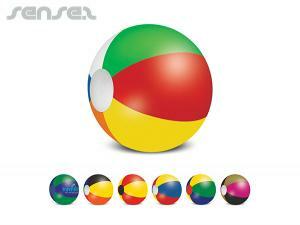 Nothing suitable in promotional beach balls? 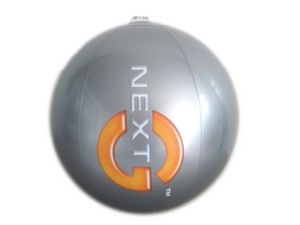 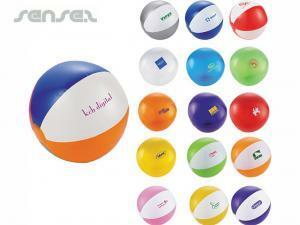 Inflatable promotional beach balls make a cheap promotional give away with maximum brand exposure! 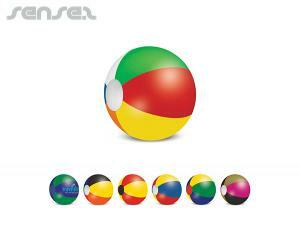 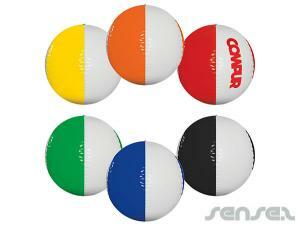 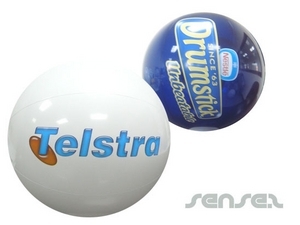 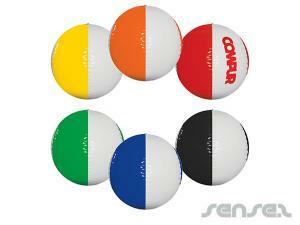 Have your custom logo or design printed on any colour beach ball to suit your corporate identity! 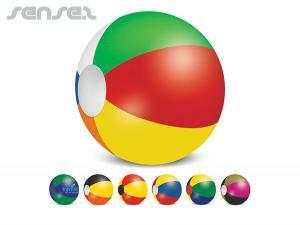 We can make beach balls in a range of sizes from mini to maxi size which is ideal when used as crowd balls at concerts or outdoor event promotions! 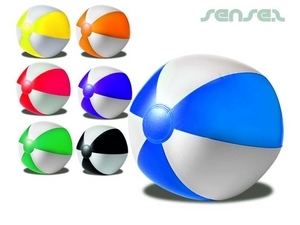 Beach balls pack into small flat parcels and make great mail out items too, and when inflated always stand out at the beach or the park. 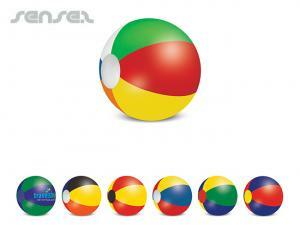 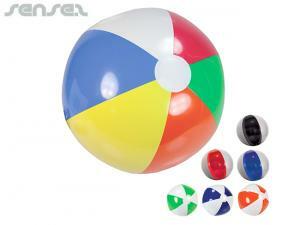 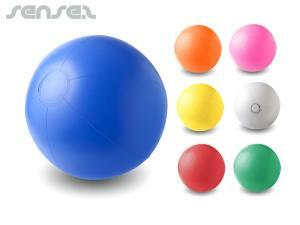 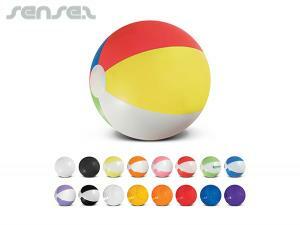 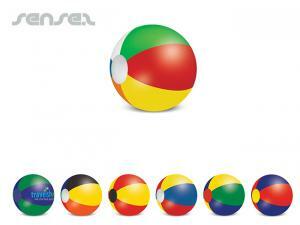 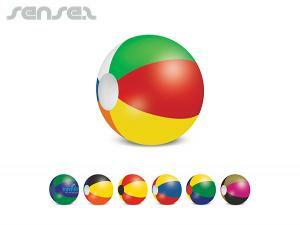 Beach balls are ideal for all age groups and are a safe gaming option on the beach. 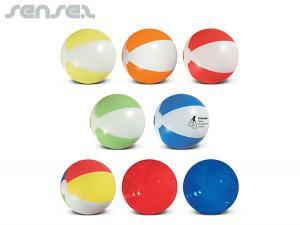 Custom branded promotional beach balls are ideal for health related campaigns, summer time or drink promotions.